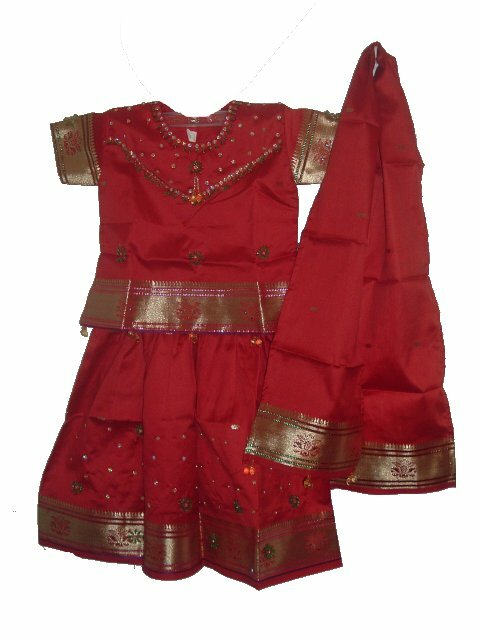 Kids Maroon pattu langa blouse from south India. Both the langa & the blouse have heavy work using red, gold and green colored beads & sequins and little gold "bootis" all over. There is a gold colored border at the base of both the blouse and the langa. The langa has drawstring waistband. 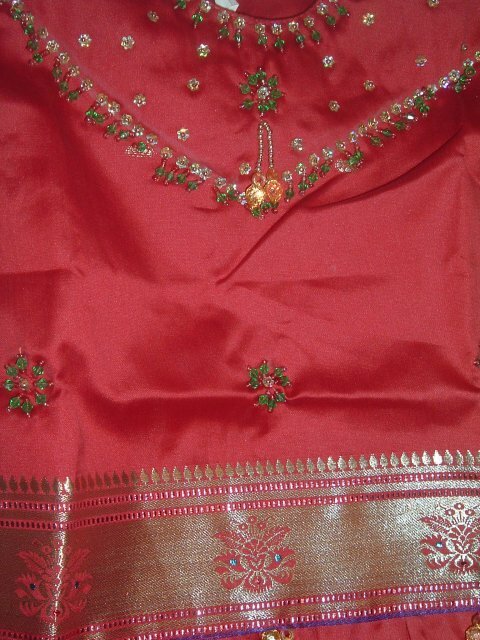 The dupatta is maroon silk with gold border on each side. A traditional clothing style in Southern India. Sizes available for girls aged 1 year old and up. Buy South Indian Lehenga Choli, Kids Maroon Pattu Langa Blouse, sold & shipped by desiVastra.com where you can shop online for Traditional Dress for Baby Boy & Girl, Indian ethnic Wear for Kids. This Pattu Pavadai collection has been tagged as South Indian Lehenga, Pattu Langa Blouse, Baby Pattu Pavadai, Kids Dresses.